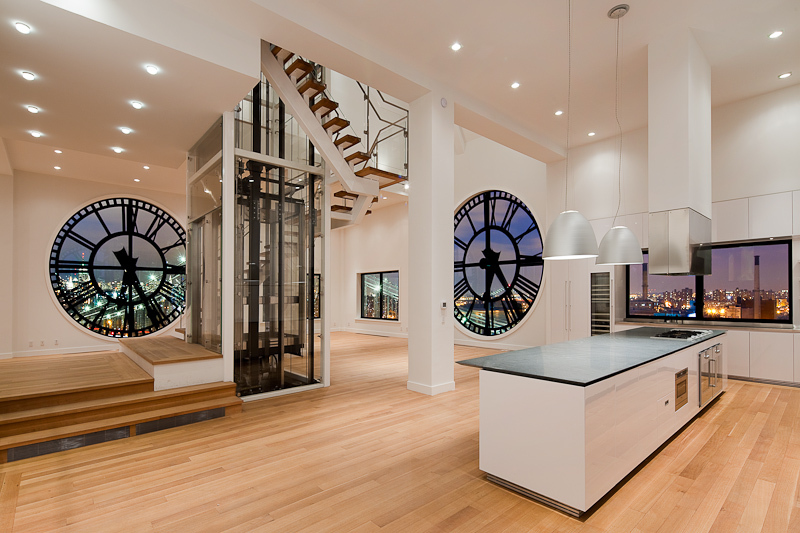 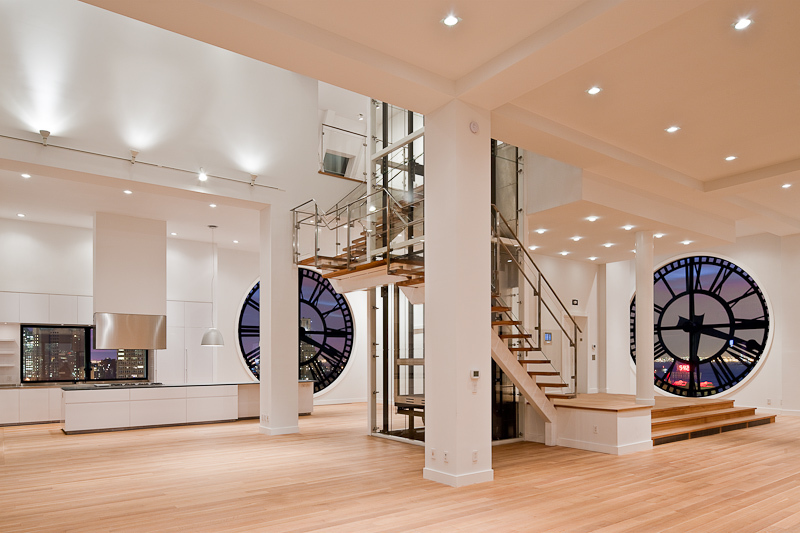 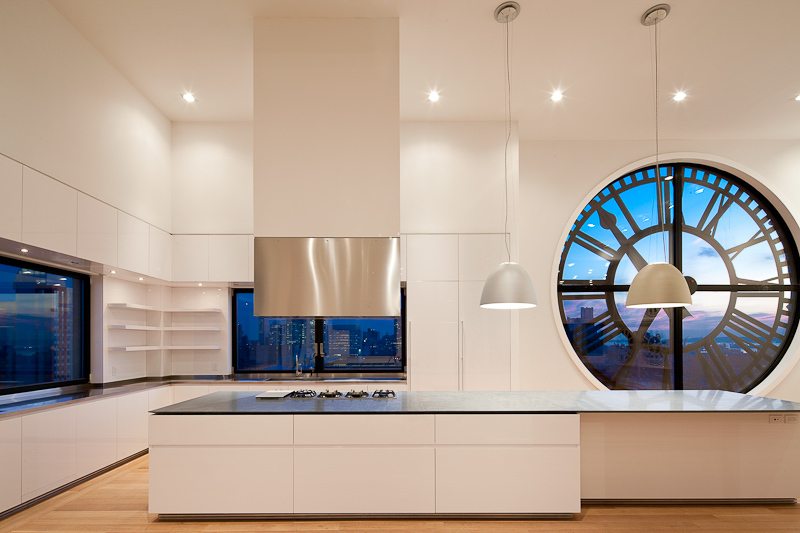 FPE Architects collaborated with the owner of Two Trees Development to create this unique 3 story signature apartment within the clocktower of 1 Main Street, Brooklyn NY. 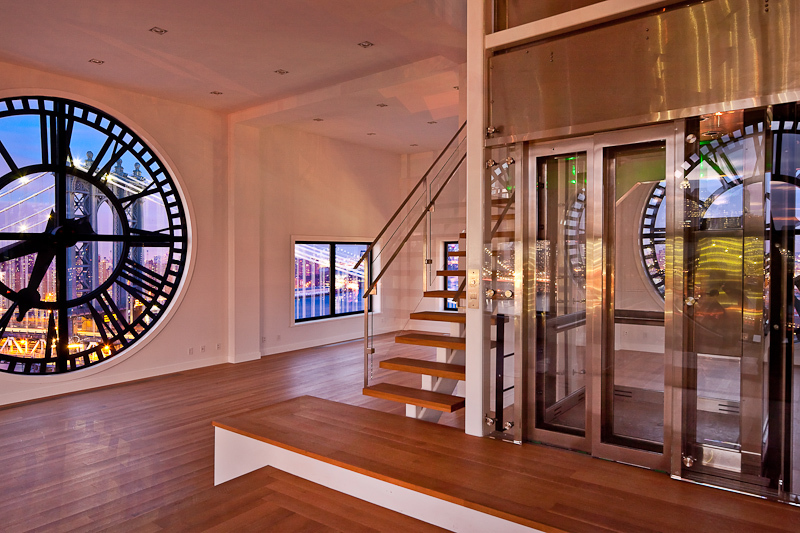 As the pioneering residential development in what is now known as DUMBO, the clocktower is clearly visible from both the Brooklyn and Manhattan Bridges. 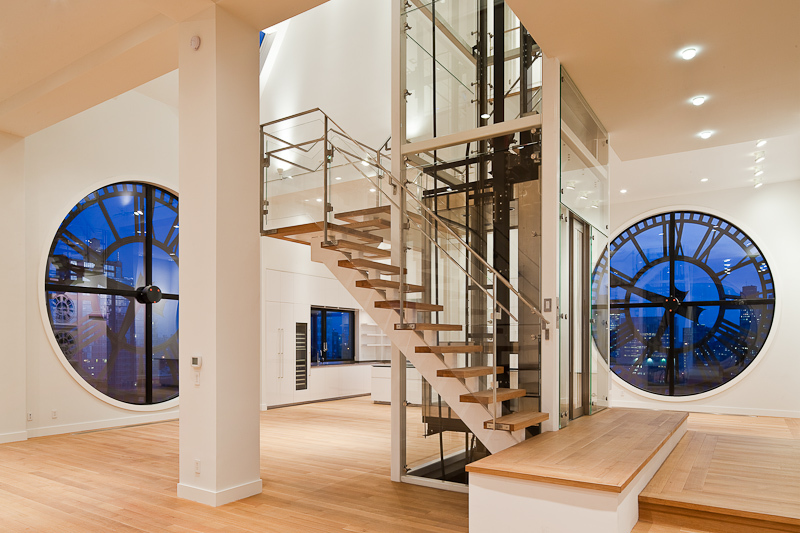 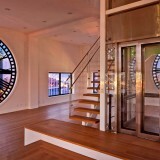 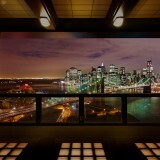 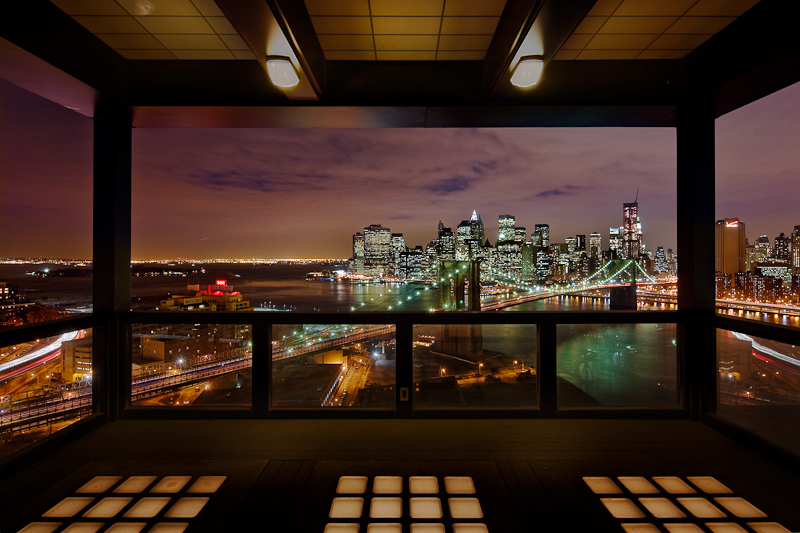 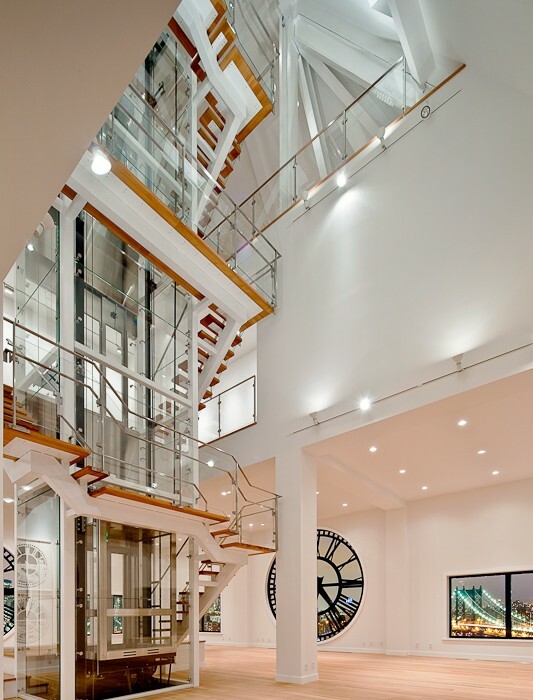 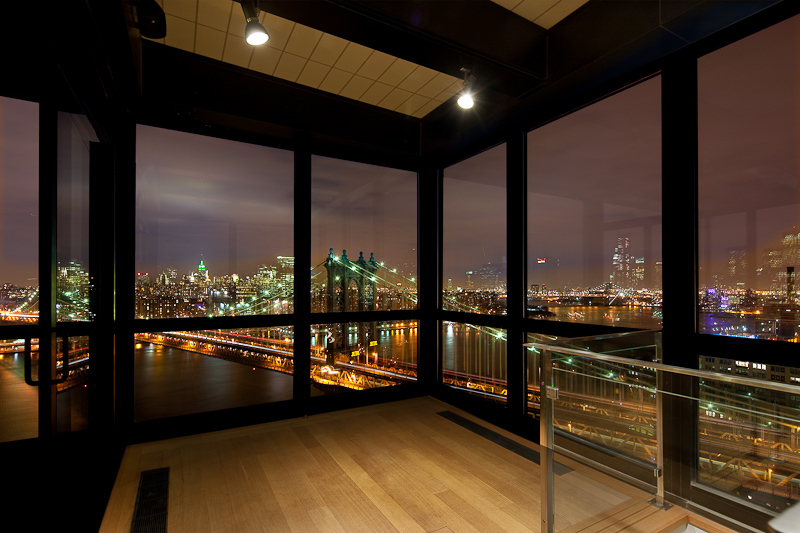 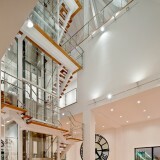 The three story space is visually anchored by a stair tower containing a private elevator, and a new steel framed exterior terrace offers one of a kind views of Manhattan.